Can You Escape Suffering? You May Not Want To. Taoism is a philosophy that emerged from China 2.500 years ago. This philosophy is beautifully illustrated in an ancient painting called “The Vinegar Tasters”. In the painting you see 3 figures. They represent the 3 great Philosophers of the East. One of the figures is the Buddha. One is Confucius. The third one is Lao-Tsu. 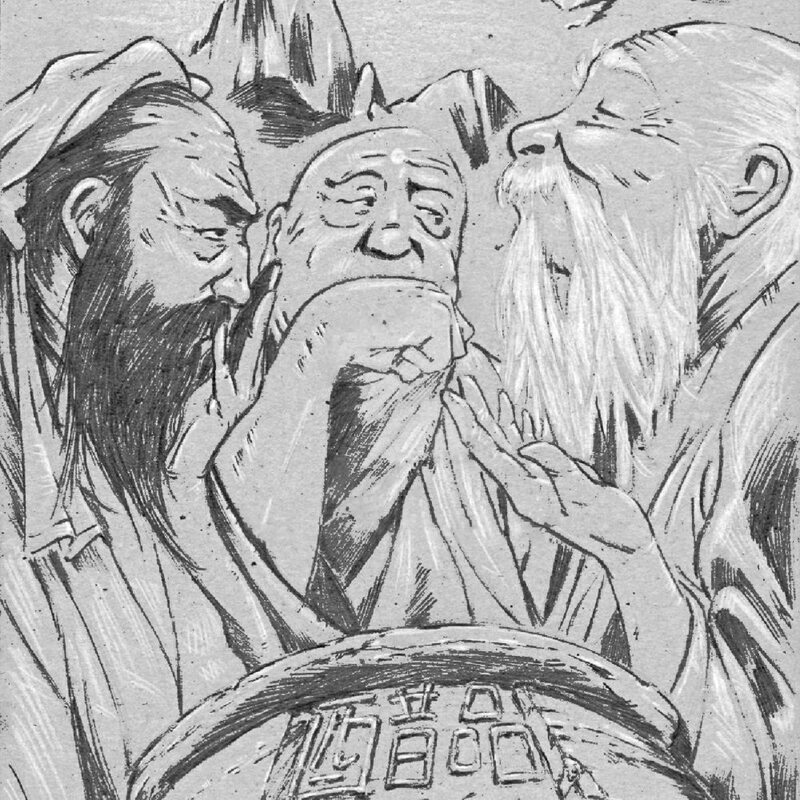 In the painting, the Buddha, Confucius, and Lao-Tsu are standing by a vat of vinegar. This particular vat of vinegar represents the world, and the vinegar represents life. In the painting, each philosopher has dipped a finger into the vinegar and has tasted it. The Buddha appears grimacing after having tasted the vinegar. Suffering is central to the philosophy of Buddhism. Actually, The First Noble Truth of Buddhism is that life is suffering: for the Buddha life was bitter. Confucius is also grimacing after tasting life. He taught that the world was out of order and this disorder brings suffering. He taught that the only way to bring the world into harmony again was through discipline. He taught that honor, duty, and worshiping the ways of our ancestors would restore order. For him, life was bitter also. But Lao-Tse is smiling after tasting the vinegar. Why? Because, according to the Taoist view, life can indeed be bitter—but that is not the whole story. On the other side of bitterness, you will find sweetness. 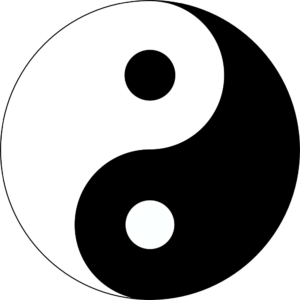 According to Taoism everything brings its opposite with it—at the same time. Think about it, if you had never known the bitter, how would you know the sweet? If you had never seen darkness, how would you know the difference between day and night? For a Taoist bitter suffering is just one side of life. Suffering doesn’t come alone. It brings its opposites along for the ride. Joy, knowledge, experience, or any number of positive things come on the back of suffering. Taoists believe that if we didn’t know suffering, we couldn’t know happiness. They believe that male and female complement each other. Believe that hot and cold regulate each other. That success and failure educate each other. That gain and loss value each other. Nothing can exist without it’s opposite. Anything that is one-sided can’t exist. It wouldn’t be whole. Life is indeed suffering and vinegar is bitter. But mix bitter vinegar with its opposite flavors and it becomes a delicious dressing. Learn to see the opposites of creation. Learn to embrace the opposing forces of creation joyfully. Let creation blend them according to its design. And you will taste the richness of the full spectrum of life. And you will smile like Lao-Tsu.